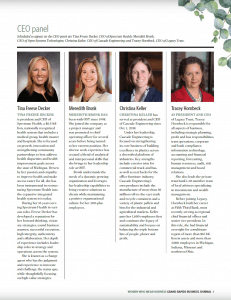 Congratulations to all the winners and finalists from this year’s Top Women Owned Businesses in West MI. It was an honor to serve on the CEO panel along with Tina Freese Deck, Meredith Bronk and Christina Keller. There were so many inspirational stories shared that day and I had an opportunity to meet so many wonderful women.